Unstructured data is growing at a staggering rate. It is breaking traditional storage and IT budgets and burying IT professionals under a mountain of operational challenges. 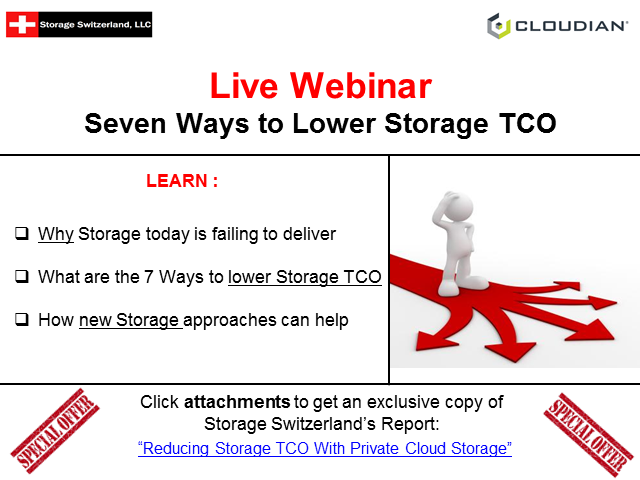 Join Cloudian and Storage Switzerland for a panel-style discussion about the seven key reasons why organizations can dramatically lower storage infrastructure costs by deploying a hardware-agnostic object storage solution instead of sticking with legacy NAS.